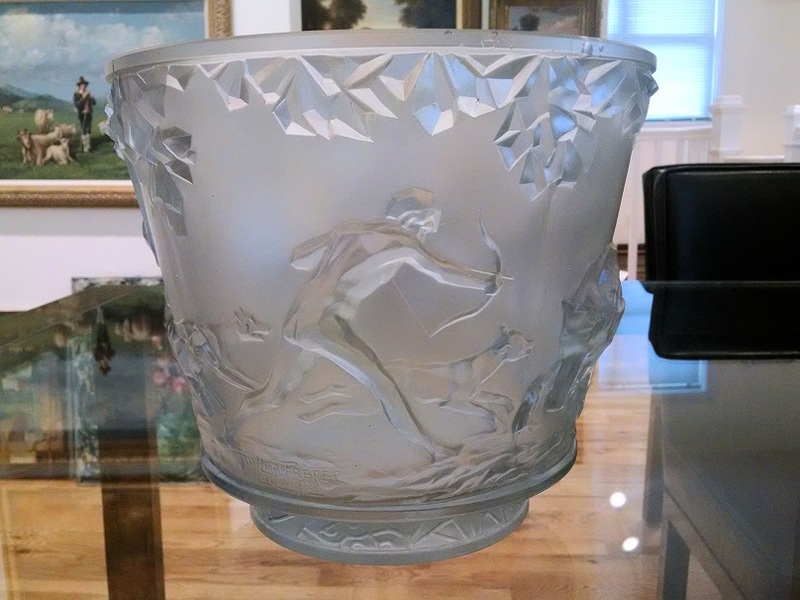 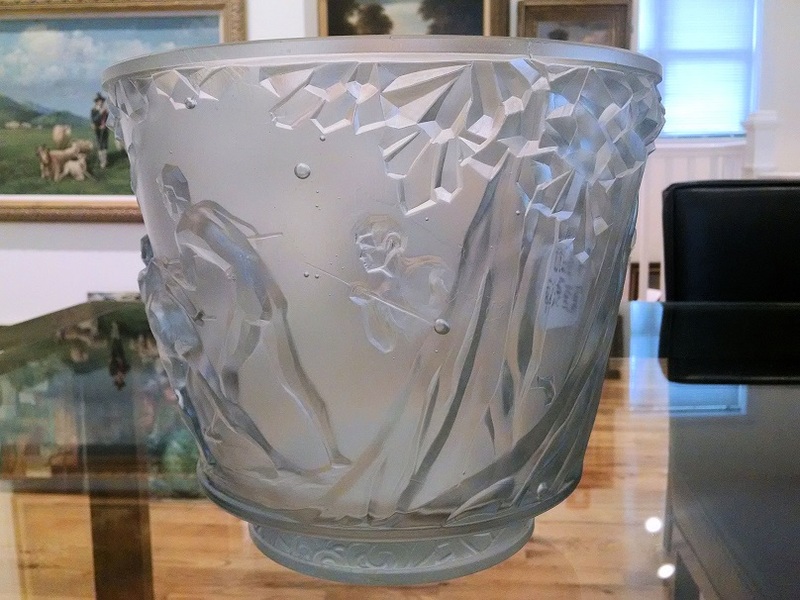 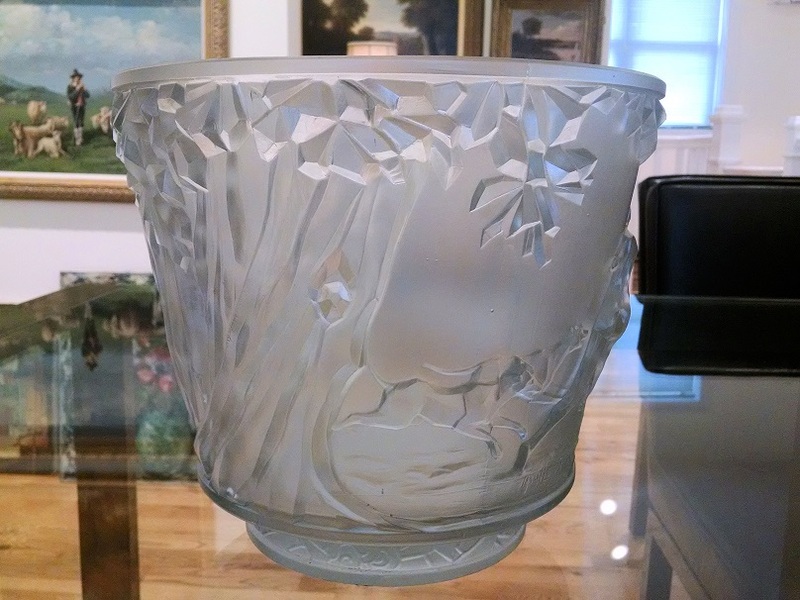 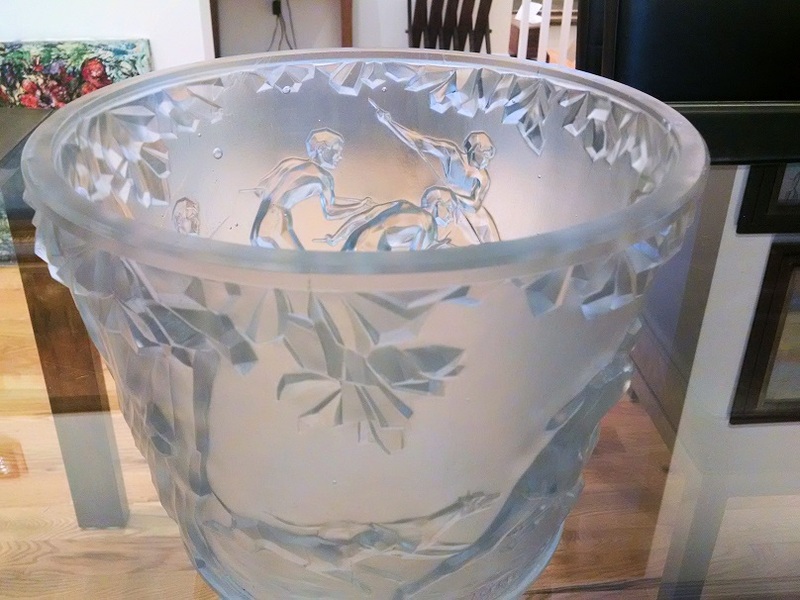 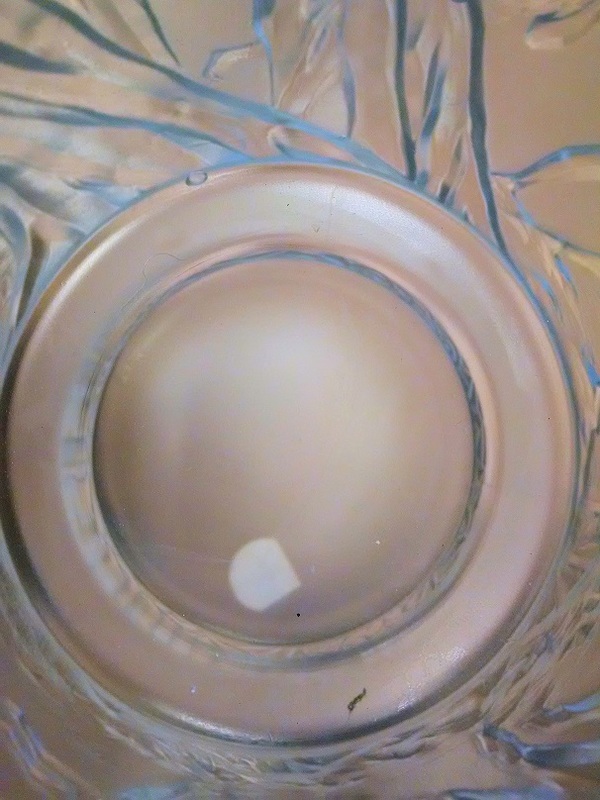 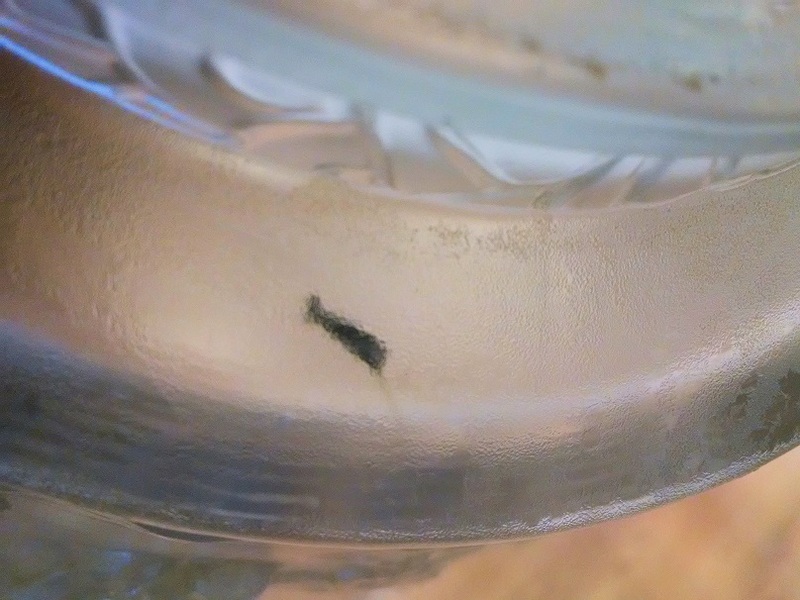 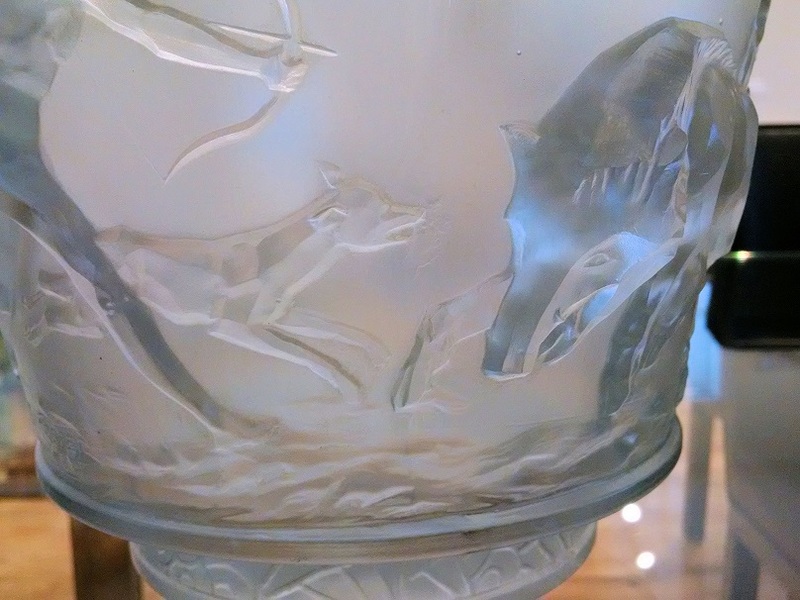 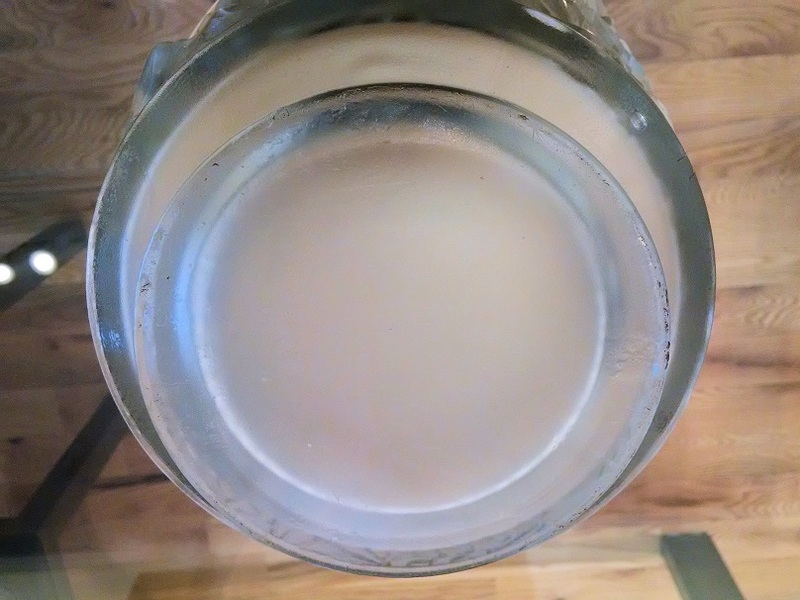 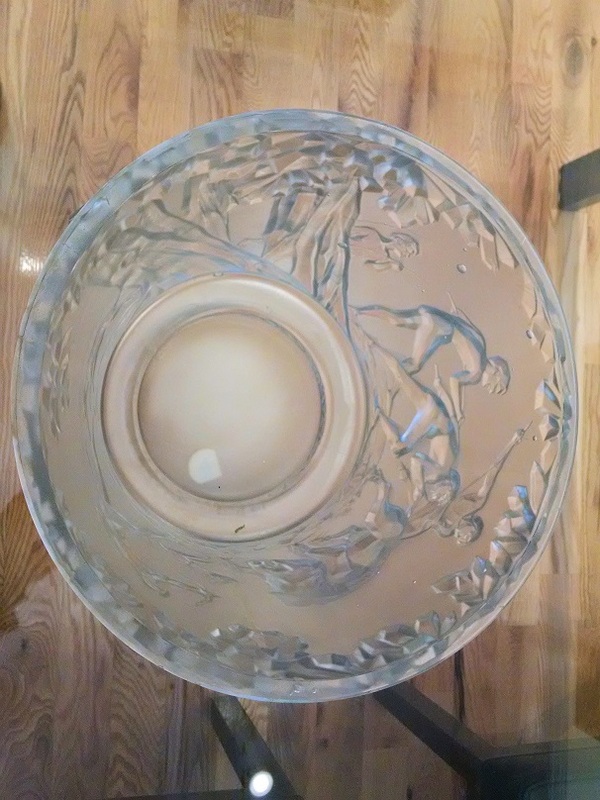 A Muller Freres Molded and Frosted Glass Hunt Vase. It is circa 1910 and depicts a hunt scene in relief. 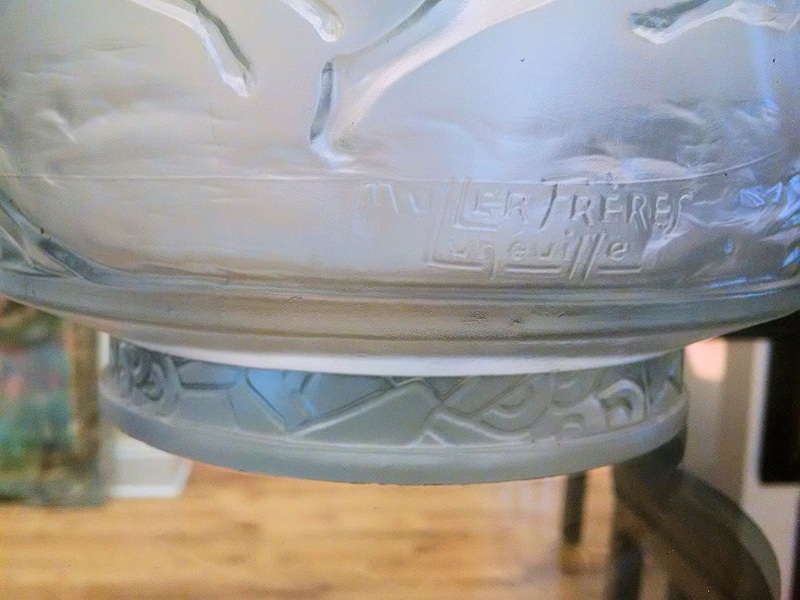 Signed Muller Freres Luneville.